On July 17, the National Asian Pacific American Bar Association (NAPABA), the South Asian Bar Association of Washington, D.C., (SABA-DC) and the Fred T. Korematsu Center for Law and Equality (Korematsu Center) jointly filed an amicus brief to support the U.S. Trademark Office's denial of trademark registration for my Asian American band, The Slants. The case has been profiled in numerous media outlets and has brought on larger questions about reappropriation, language, and identity. While there are certainly legal arguments to be had among lawyers and judges, I believe a separate conversation is necessary on the ethical implications of what transpired. Frankly, I was surprised at NAPABA's position, because for five years, the organization and many of its members expressed deep interest in supporting The Slants. In fact, I was on a featured panel at their 2014 national convention and NAPABA (along with several of their individual chapters) have sponsored numerous events for The Slants. Earlier this May, I had multiple conversations with NAPABA president, George Chen, who said "You have many fans within NAPABA." 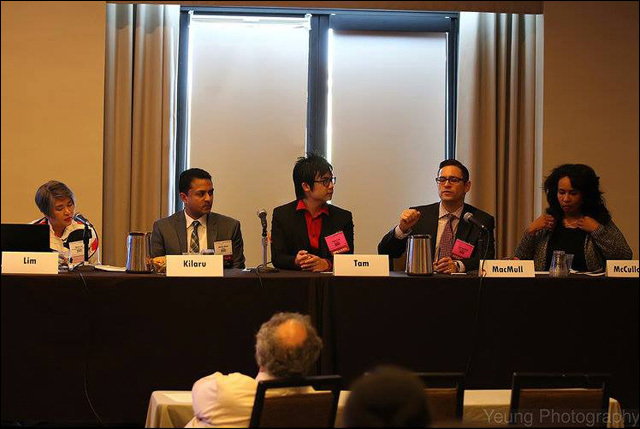 Tam at the 2014 NAPABA Convention speaking about the trademark case. But rather than simply addressing the constitutionality of Section 2(a) of the Lanham Act (the law that the Trademark Office is using), or demanding that the government take a more nuanced and culturally competent approach in determining disparaging content, the brief filed agreed with the Trademark Office's approach, logic, and assertion that "THE SLANTS" is an inherent racial slur. In fact, the brief called the band's name a racial slur thirteen times and accused our band of wielding our First Amendment rights "as a sword to compel the Government to aid in spreading racial epithets to every concert hall and record store" and that our band's name "could incite imminent violence." 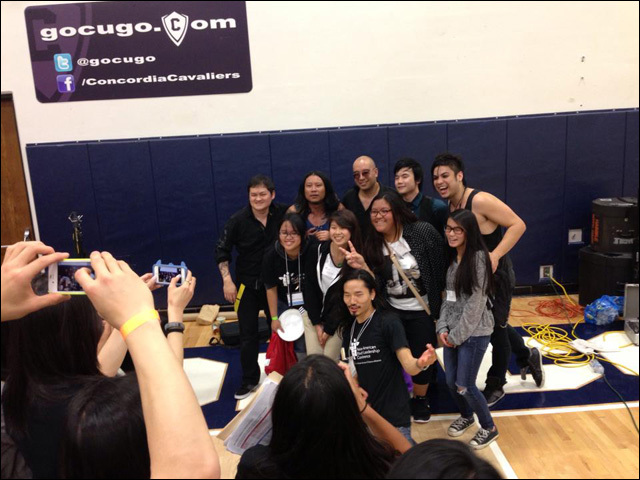 This was seemingly filed without any knowledge of the band's anti-racism justice work, the broad support of the Asian American community, nor awareness of the factual errors presented by the Trademark Office. For example, the brief refers to an incident where the Trademark Office claims that a "band performance was cancelled at a conference for Asian youth." However, this was refuted by the steering committee of that conference in 2011. In fact, the band performed and I have keynoted their conference on multiple occasions. Despite having the legal proof of the correction, the Trademark Office persisted in using the false assertion. 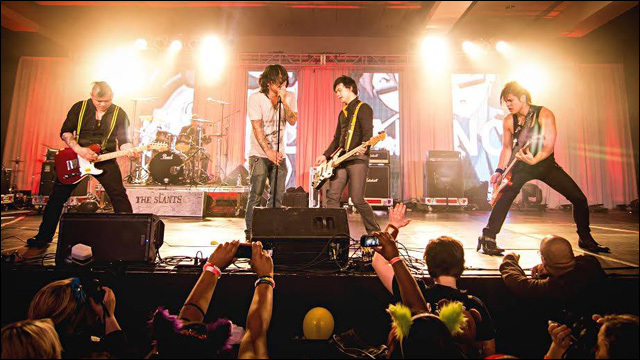 The Slants at the youth conference that supposedly cancelled on them because of their name. These facts were also presented at the NAPABA conference and attendees were given a supplied workshop packet. Ignoring the actual statements of the situation is morally reprehensible, yet there is no accountability for the Trademark Office for submitting false evidence that ultimately deceived NAPABA, SABA-DC, and the Korematsu Center as well. Furthermore, the brief claims that the Trademark Office "treated Mr. Tam's application no differently than it would a band composed of Caucasian members made up to "look" Asian that called itself "THE SLANTS" to promote songs promoting racial stereotypes of Asians." This inflammatory remark is ridiculous since my band does not "make up" our look; unlike a Caucasian band who wields "yellow face," we cannot change our ethnic identity. In fact, they avoid the uncomfortable truth: anyone can register a trademark for "THE SLANTS" except Asians. Our "context" for the racial slur is our actual racial makeup. This is something that's been argued for years and admitted by the Trademark Office. Current photo of The Slants. The brief also states that "while Mr. Tam is correct that the term "slant" has other meanings that are not racially disparaging, Mr. Tam's application made clear the intentional use of the term as a racial slur." However, that wasn't the case at all. The Trademark Office used a Wikipedia article that misquoted the intentions of our band name. When we tried to clear up the record, they ignored the full context of those statements. Furthermore, the brief refers to another non-Asian band called "Slant" and applauds their work for touring U.S military bases on behalf Armed Forces Entertainment (AFE). Of course, they ignored the fact that The Slants have also been on the AFE roster for years and toured to bring awareness of mistreatment of Asian American soldiers. This approach of ignoring inconvenient truths and blindly accepting the biased approach of the Trademark Office is extremely problematic. NAPABA, SABA-DC, and the Korematsu Center should have taken a cue from Fred Korematsu himself, who challenged us to remember how the U.S government violated its citizens in the name of safety. Korematsu Day was founded to remind us that it is our shared responsibility to fight for our civil liberties that are still under attack. 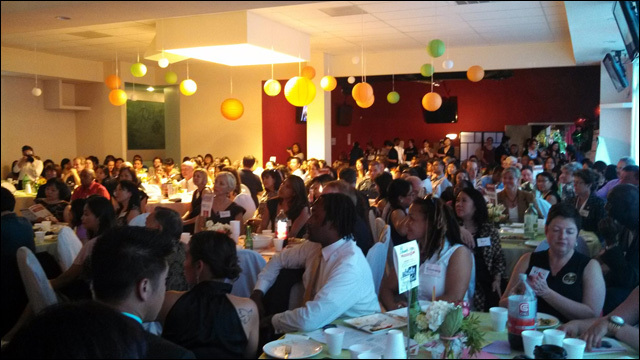 The band proudly host the Asian Pacific American Network of Oregon's 2014 Voices of Change gala. Sadly, the brief sharply disagrees with the work of reappropriation activists, calling the work not only ineffective, but claiming it "reinforces racial stereotypes." This position undermines the work of prominent Asian American activists, scholars, and leaders, such as Helen Zia, George Takei, Frank Wu, Jeff Yang, Eric Liu, and more. In Asian American Dreams, Zia praises the work of "a new generation of Asian American artists and cultural workers...who are not afraid to challenge." 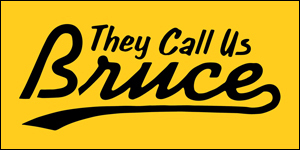 On reappropriation, author and legal expert Frank Wu has stated "I would like to disrupt our shared comfort. The greater the upset caused by references to the past, the more intense the urge toward action for the future...Those of us who care about civil rights harm our cause by implying that social justice is merely etiquette. It reduces the issue from substance to appearance." Finally, the broad-brushed approach adopted by the Trademark Office and supported by the organizations in this brief fail to recognize the extensive damage that can be caused to numerous prominent organizations. 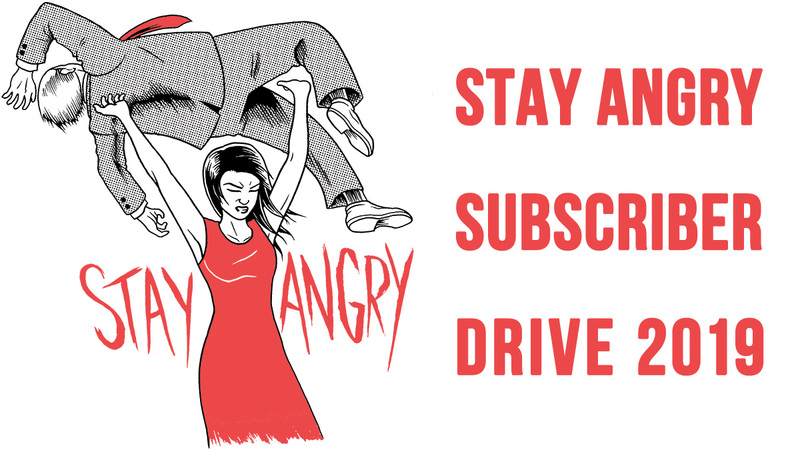 Not only does the it hurt the work of The Slants, the same rationale can hurt the work of Asian American film festival, Slant; it undercuts efforts by the revolutionary documentary The Slanted Screen, and can jeopardize the TV show Fresh Off the Boat. 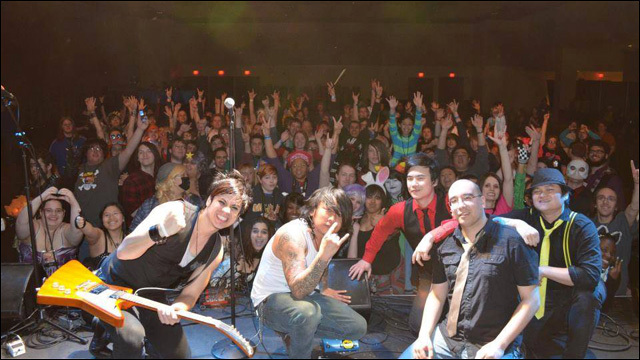 The Slants and their fans. As The Fordham Institute pointed out, the same law used to deny "The Slants" a trademark registration could be applied to the National Association for the Advancement of Colored People" (NAACP), since the phrase "colored people" is considered disparaging by most people of color. Section 2(a) is disproportionately applied to people of color. David Rogers, Executive Director of ACLU of Oregon, states, "This case calls for an end to a law that is being used to suppress minority voices. 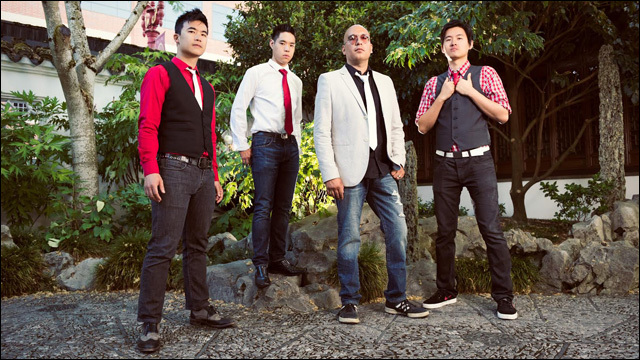 A favorable ruling for The Slants would encourage other minority voices to come forward with their own messages of tolerance and racial justice. In contrast, the ACLU of Oregon is concerned that a ruling upholding Section 2 of the Lanham Act would discourage minority speakers from spreading these important messages." The law and how it is applied is not equitable. It fails to take into account the cultural experience of marginalized communities. Shame on NAPABA, SABA-DC, and the Korematsu Center for supporting the Trademark Office's deplorable actions. Rabble-rouser and activist Fred Korematsu. 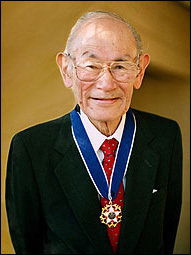 Fred Korematsu once said "All of them turned their backs on me at that time because they thought I was a troublemaker." Don't let NAPABA, SABA-DC, and the Korematsu Center turn their backs to artists and activists of color. Please, sign this petition today. Simon Tam is founder and bassist of The Slants, an author, activist, and self-proclaimed troublemaker.